Malayalam general entertainment channel amrita tv planning to launch it’s high definition version, amrita hd. as per current information it’s launching on vishu day, 14th april 2017. keralatv.in got this info from amrita tv, they are also planning two big shows. amrita tv launched on 2005 and available through all leading cable and dth networks. Asianet hd was the first malayalam high definition channel and mazhavil manorama, surya hd are other hd channels. surya tv hd channel is officially launched, it’s also expecting next month. Amrita tv recently purchased 2 big malayalam movie rights, Ezra and 1971 Beyond Boarders. 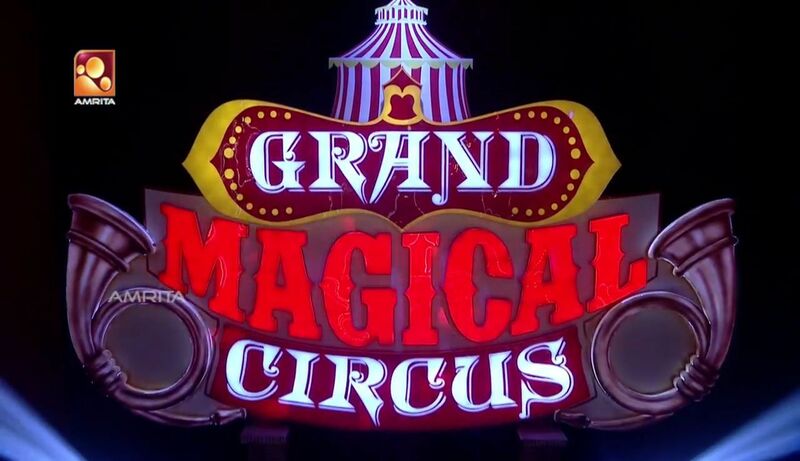 Grand magical circus and another reality show starting on April 2017. These two shows are made with big budget and canvas. they are planning to launch a malayalam reality show based on mohanlal, name of that show not available now. as per latest barc television ratings, this channel not included in top 5 list. they are listed below kairali tv and getting average 60 points. Annies Kitchen, Kadhayallithu Jeevitham , Malayali Durbar, are some of the popular shows airing on amrita tv. Nilavum Nakshatrangalum, Sathyam Shivam Sundaram, Kaali Gandaki, Oru Cilma Kadha, Jagratha, Aliyan v/s Aliyan getting average ratings. Amrita hd test signal will start from next month (as per current info) and this will be a free to air channel. Kaali Gandaki is the most popular show in amrita tv, it’s getting average ratings of 2. Oru Cilma Kadha with 1.85, Nilavum Nakshatrangalum getting 1 are the other shows ratings. We will very soon update more about amrita tv hd here. official logo, schedule, launch date, availability and other details can be check from here. Vishu premier films list will publish soon through keralatv.in. stay tuned here about all updates.